Control Sector opened the day showcasing “Laniakea,” a collection for our fellow brothers and sisters and the impact of our creative consciousness. Another design team duo that brought tears to the crowds eyes making their dreams of showcasing in New York Fashion Week come true, were the Uwi Twins; Reuben and Levi. The Uwi Twins escaped the Rwandan Genocide and unveiled their SS’16 in NY presenting “I Left My Heart In Africa,” a collection that is bringing hints of bold colors and compliments of animal prints, inspired by the safaris on their recent trip back to Africa since their escape. CLUBWEAR by Christine Hilts, a women’s athletic wear that can take you from the golf course to the Ritz without needing to change, presented their newest phenomenon to hit the country club since the monochromatic white tennis dresses seen at Wimbledon. The 2015 collection of athletic apparel is feminine yet professional; featuring versatile cap sleeve tops, performance-enhancing shorts, and eye-catching dresses with Versace-inspired details becoming your secret home court advantage! Lainy Gold debuted her new collection filled with reflections of floral and tropical prints celebrating the body. Included are swimwear designs, coverup dresses as well as some menswear. Notable features are Hawaiian inspired prints paired with hand made jewelry also created by Lainy Gold, as well as distinctive headdresses, celebrating the designer’s vision in its rawest and truest form. Bradelis hit the runway showcasing luxury in lingerie. Lingerie by Bradelis New York is designed to sculpt and contour each body figure by adjusting and reshaping curves to fit their right proportions. 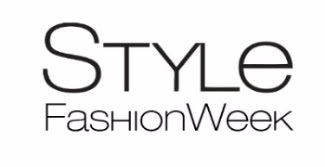 Style Fashion Week New York was honored to have Keratin Complex creating modern hair trends for the designers as well as Voodoo Make-up showcased on the models. A special thank you to Lawless Accessories for their hand-crafted and one of a kind sting ray finished hand-bags, FlowerBox Wall Gardens for the beautifully designed step and repeat and floral art, Square Up & zkipster for a seamless check-in and seating, Ricky’s NYC, Little Miracles & Core Water.